Includes a video magnifier function to magnify images and text up to 20 times! Superior quality photos and excellent accuracy when reading books or magnifying text when you’re out and about! Works with all phone carriers including Bell, Rogers, Telus, etc. The Synapptic Smartphone is designed with a simplified user-interface making it easy-to-use, efficient to navigate and accessible to people with vision impairments. 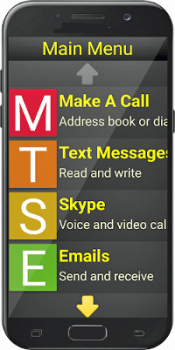 If typical smartphones are too difficult to see or too confusing to use, Synapptic is designed for you. 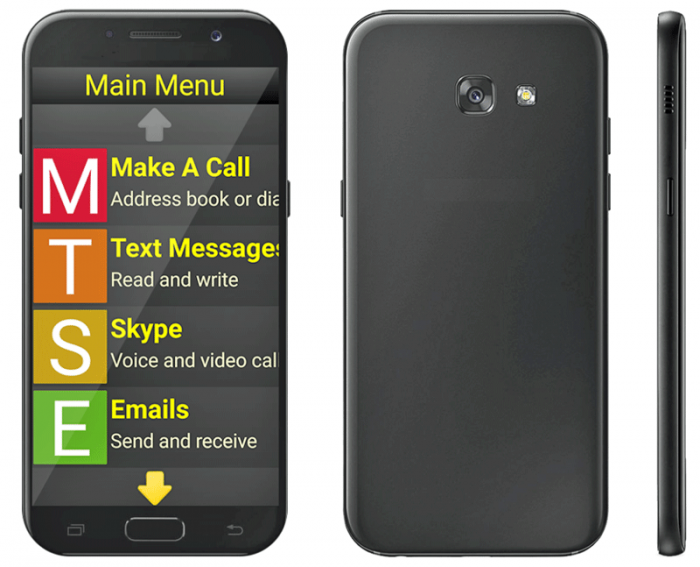 The Synapptic Smartphone provides an easy-to-see, high-contrast display making it the ideal phone for seniors or people living with low vision. The speaking menus are simple to understand and with the voice-command feature you can control your smartphone simply by talking to it and telling it what to do. Need a handheld magnifier too? The Synapptic Smartphone includes an app that turns the phone into a powerful magnifier and reader for ultimate accessibility everywhere you go! You can magnify reading materials as well as scan printed text and have it read aloud, so you can be sure to have access to information wherever you are. The Synapptic Smartphone harnesses the same power of a typical smartphone but is designed with a simplified-interface for efficient navigation making it the ideal smartphone for seniors and people living with low vision. And best of all, this phone works with all phone carriers including Bell, Rogers, Telus, etc. Offers the same power of a typical smartphone but with an accessible, easy-to-use interface.